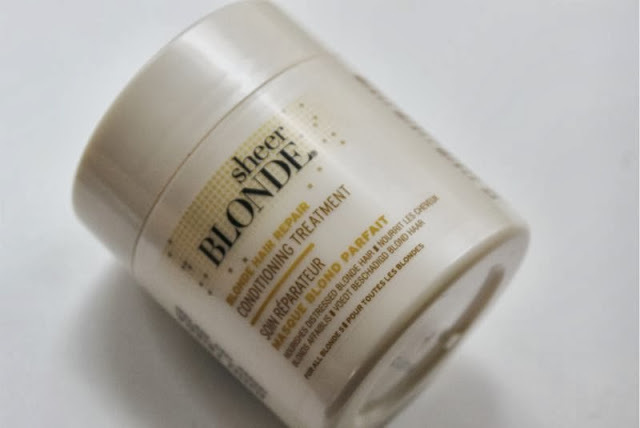 Blonde hair can be fairly tricky to care for properly particular if you are not a natural blonde, first of all you have damage to contend with not to mention that blonde hair does have a tendency to become dull and show damage quicker than any other shade hair shade too. 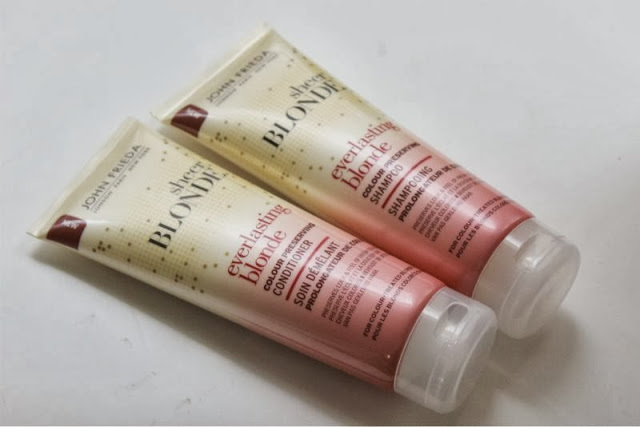 Luckily there are some great hair care brands out there that cater to blonde hair and one of my personal favourites that actually works and is kind to the pocket is John Frieda's Sheer Blonde Everlasting Blonde Collection. Unlike other blonde aimed hair care products this is not a silver or lilac tinged hair care line and can indeed be used on all shades of blonde, white and highlighted hair be it natural or not although the packaging does state it is for colour treated hair. 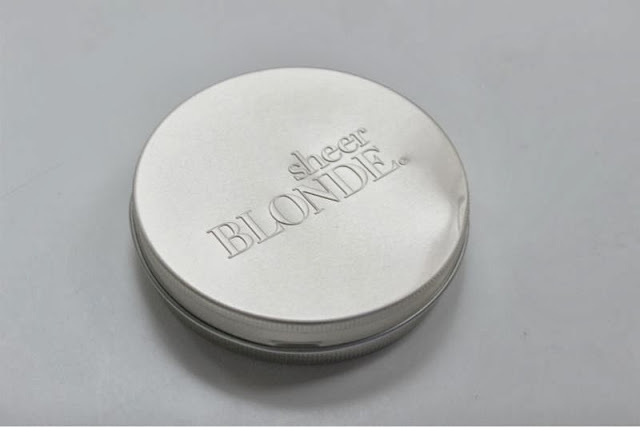 My sister is a natural blonde and will use my Sheer Blonde Everlasting Blonde products with great results. 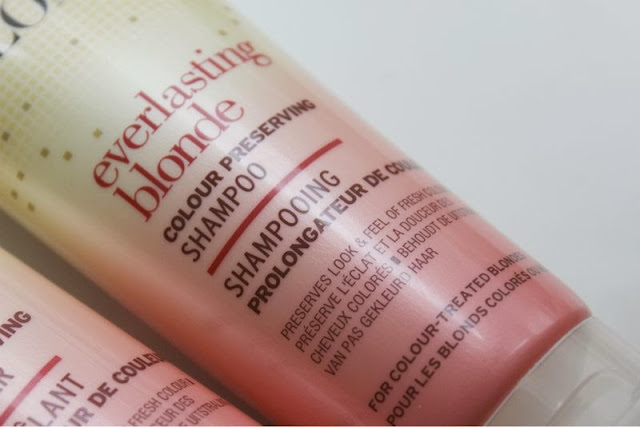 The idea behind John Frieda's Sheer Blonde Everlasting Blonde is to help prolong that freshly coloured hair look and feel all the while preventing colour fade and leaving the hair silky soft. Within this range I only use the shampoo and conditioner which are both light weight yet offer great cleansing and conditioning abilities. 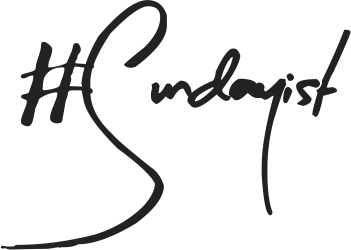 As my hair is not a light or ash blonde rather it is a mid toned warm honey shade I do find it becomes dull fairly quickly but since switching to a combo of Everlasting Blonde products and A Touch of Silver shampoo every now and then I do find my colour looks fresher for longer. Anything that can help hold off a trip to the salon even if it is only a week or two gets a thumbs up from me. 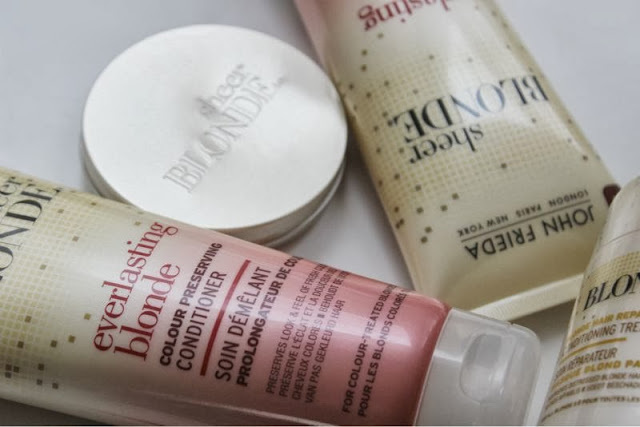 My two personal favourite John Frieda Sheer Blonde products are the Blonde Hair Repair Conditioning Treatment which is a thick, intensive and fully nourishing treatment that can be used either daily or weekly should you wish. I tend to play it by ear depending on how dry/damaged my hair is feeling at the time. This conditioner has exclusive technology that bonds to the hair to repair textural damage without weighing down even the finest of hairs. 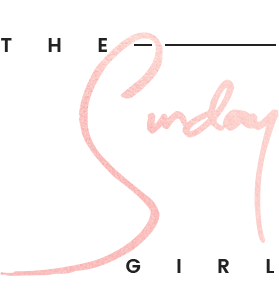 It is one of the few products for the hair I have used that I have noticed a huge difference from day one. If you have blonde hair that has been subject to bleaching and/or heat this is the treat your poor hair is calling out for. 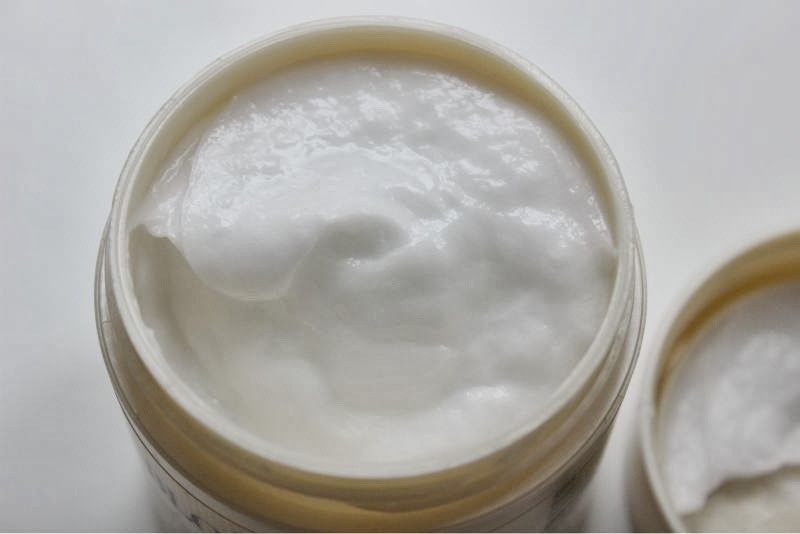 The other product I use fairly regularly especially if I am rocking my natural curls or an up do is John Frieda's Spun Gold Shape and Shine Balm. This is my go to product for separating my large waves/curls, taming frizz and adding a little definition. 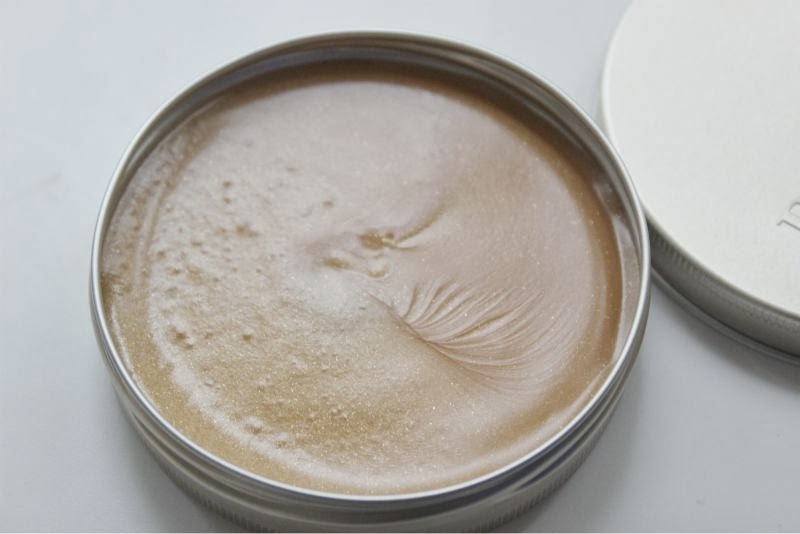 Basically this is a lightly golden tinged hair wax that adds radiance to blonde hair all the while adding a healthy sheen. If you have blonde hair and happen to be a fan of boho style waves this is the finishing product for you. *PR samples sent for consideration of review.